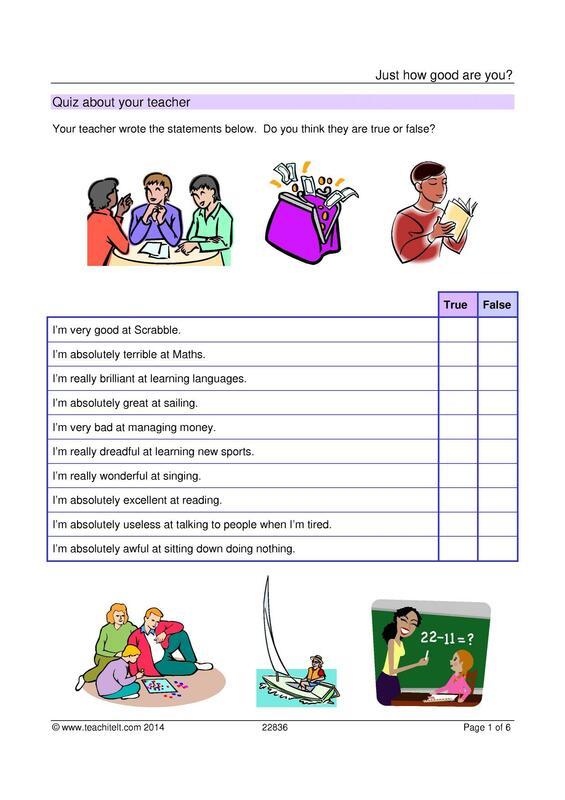 A whacky talent contest to practise comparison, and scale vs. limit adjectives. The interactive activity is useful for feedback on the adjective sorting task. This is a great lesson plan. I think my pupils will have fun with this. I look forward to using it. Thanks!